Can you remember a day when you didn’t encounter a single advertisement? Probably not. 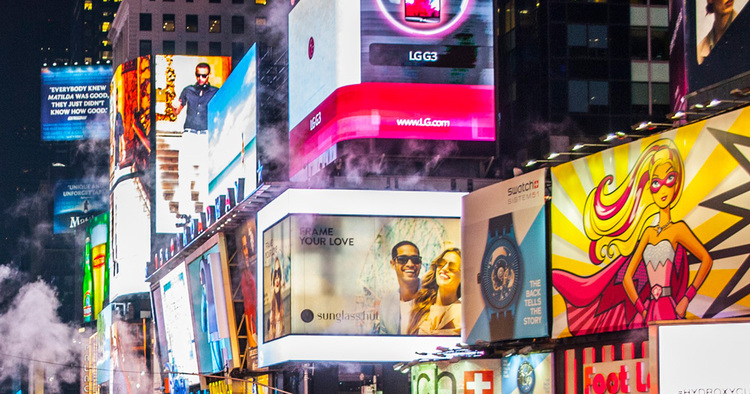 Whether it’s the giant billboard on the side of your office building or the internet pop-up that just won’t quit, advertisements are brands shouting their way into your life. You probably ignore the majority of them, simply because you don’t have interest in what they’re selling you. And you’d be right if you said companies waste a large amount of time and money on ads that are ignored on the spot. Good news: there’s a better way to get inside people’s lives. It involves rethinking what you learned about marketing and looking at some of the world’s fastest growing businesses – like Uber, Apple, and Airbnb – for inspiration. Marketing specialist Bernadette Jiwa does just that in her book Difference. If you’ve studied marketing, you already know about the four p’s – product, price, place, and promotion. You first develop a product to sell, figure out financials and demographics, and then promote, promote, promote. But there’s a fundamental issue with that approach, because it ignores the most important “p” of them all: people. The problem: When you focus on product first, your customers’ needs and wants come in second place. In some ways, you then have to retroactively add importance to your product after you develop it. That’s where the unwanted advertisement overload comes in. The solution: Before you build your product, start by recognizing a problem or desire that people have. Let’s call that a truth. Once you have a truth, you can work on building a product or service that tackles it. That way, people are guaranteed to care about your business – no annoying ads necessary. An example in action: Airbnb’s wildly successful accommodations service was born out of a basic truth: hotels are often expensive, impersonal, unremarkable, or all booked up. The company developed their sharing platform as a way of handling that truth. In doing so, they solved a problem that many people had and created a new way for travelers to experience the world. Here’s the bottom line. When you’re creating a product or developing a marketing strategy, make sure you’re fitting the product to the people! Read more about what the most innovative companies are doing in Difference by Bernadette Jiwa. Sarah leads brand marketing at Blinkist. She enjoys reading, writing, and researching publishing innovations. She is a fan of well-organised Google Docs and cheese jokes. Sarah’s recommended read is The Life-Changing Magic of Tidying Up by Marie Kondo.